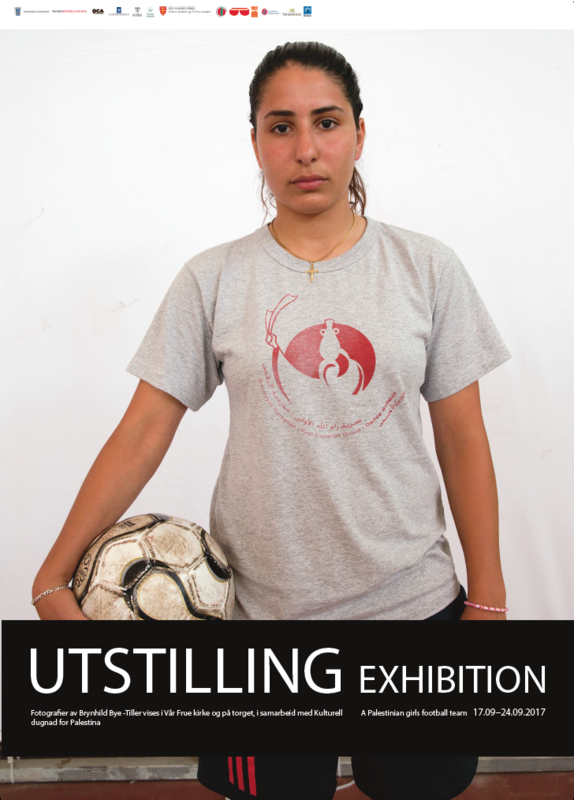 PALESTINE/NORWAY: Nine portraits of Palestinian football players from the city of Ramallah, Occupied West Bank, Palestine, were placed in a tight tactical battle formation inside the tower hall of Vår Frue Church (Our Lady's Church) in Trondheim. 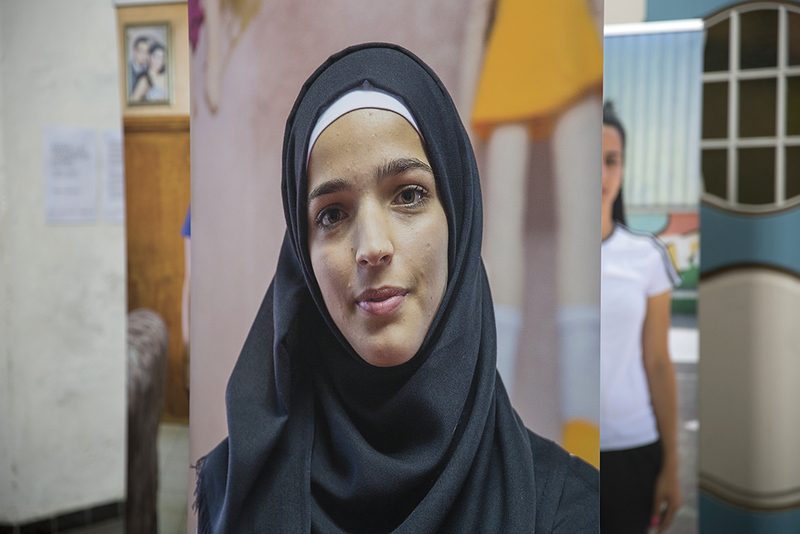 The portraits were taken in Palestine during some home visits in 2014. AWAY GAME was one of two parts of an exhibition. 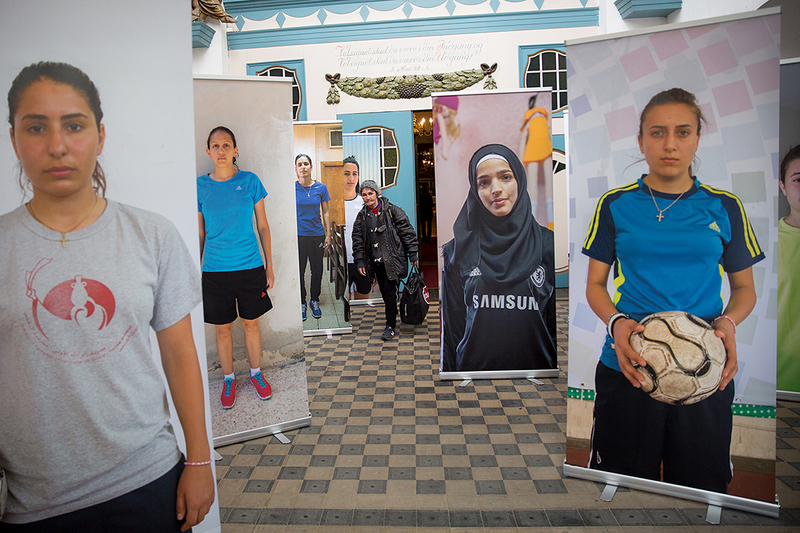 The second part of the exhibition TRUTH ON THE GROUND displayed a photographic series of the players everyday life, their football activities and opportunity to participate in sports in the Middle East. 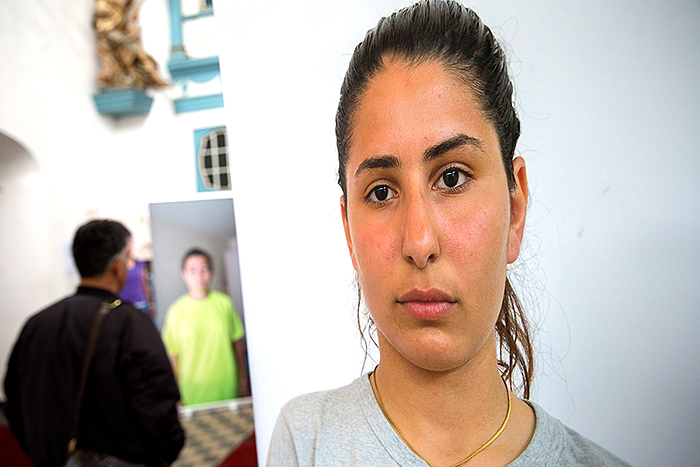 The exhibition was part of the art project Ramallah Trondheim Series (2012-2017). The team with players between 12 and 24 years old at the time visited Trondheim in the summer of 2014. 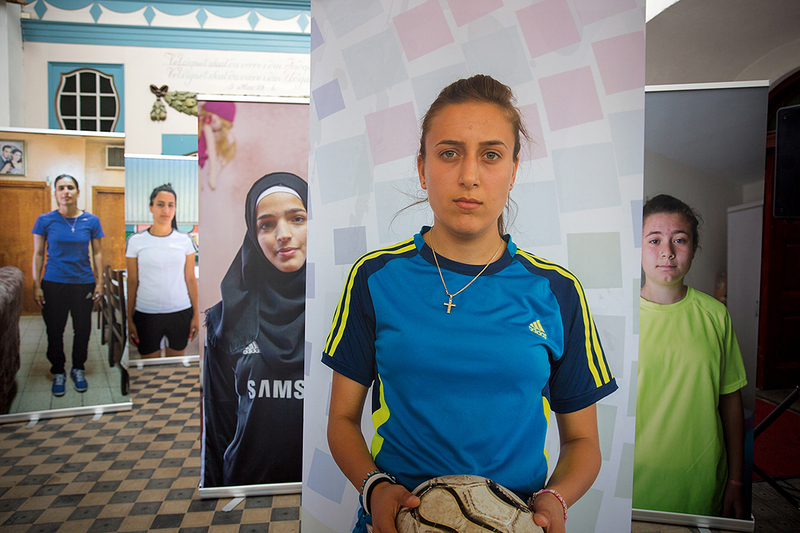 They lived with Norwegian host families and participated in the football tournament Scandia Cup and played a friendship match against a local team, Trondheims-Ørn. Our Lady's Church is a medieval parish church of the Church of Norway in Trondheim municipality in Trøndelag county, Norway. 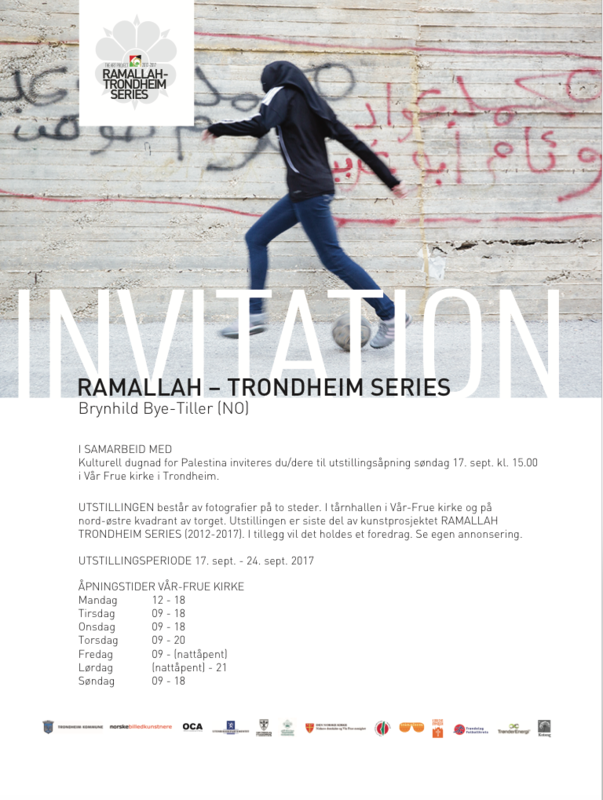 It is located in the downtown Midtbyen area of the city of Trondheim, just a few blocks north of the Nidaros Cathedral. Our Lady's Church is an open church in the square. 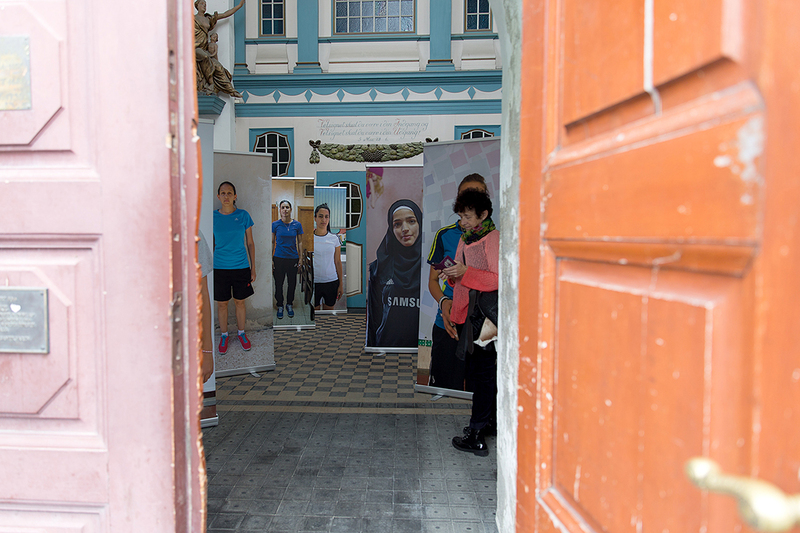 Every day throughout the year, volunteer hosts keep the doors open and the coffee is warm to the people of the city. Exhibition period: September 17th - 24th 2017. Venue: Vår Frue Church, Trondheim, Norway. 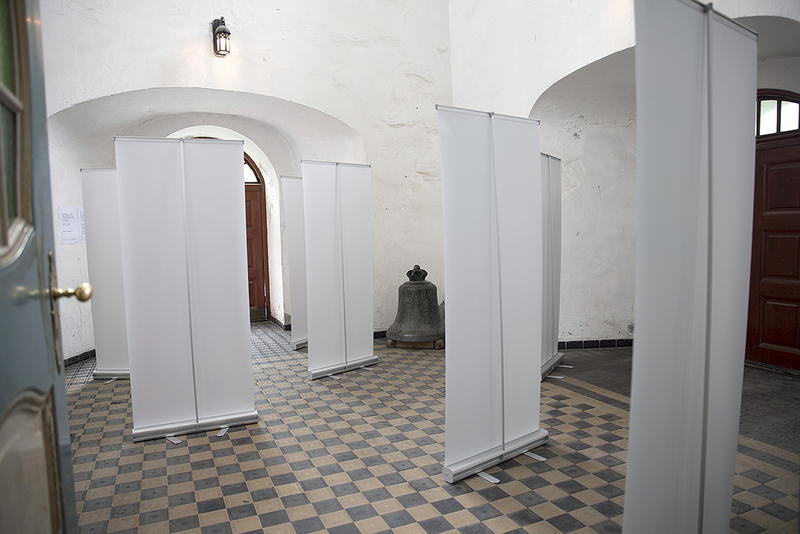 Art work: 1 photographic installation "Away Game" with 9 vertical roll-ups (85 x 200 cm) with portraits in color placed in a tight tactical battle formation inside the tower hall of Vår Frue Church.